The “Gitarrenarmee” (guitar army) does not stand for militarism, not even for discipline. The ensemble is a free union, which exists more in the heads of the four musicians than in the real music landscape. The term army becomes contradicted with the fact, that it is not a “firmly standing army”, but a quartet made up of very different characters with very different ideas. No musical piece resembles an other, no live-set is performed twice. The “Raum-Klang-Installation” (three-dimensional sound installation), which happened in Leipzig in 1990, forms the first high point. The experience is a volatile – with the fading of the last sound the concept is history and continues to live only in the heads of the then present listeners, just as the governmental system of the GDR. When Darjush Davar listens to the finished music for the first time, he denies that the Gitarrenarmee played certain passages. Indeed “Composing after Playing” is a computer product. From a two-day-recording-session Christoph Abée extracts very different passages, which in their inspiration span from Robert Fripps “Crafty Guitarists” up to Neil Youngs “Dead Man”. 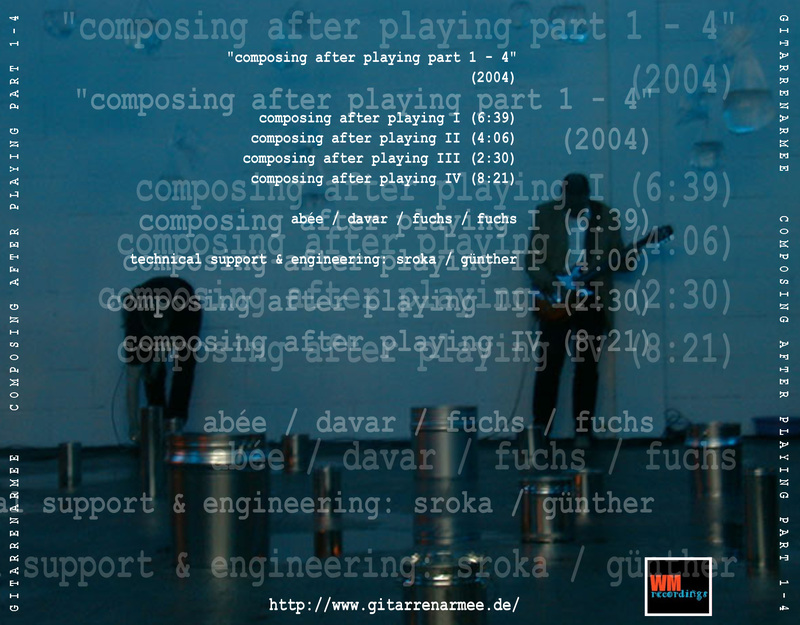 Listening, cutting and pasting make up for a strongly compressed sound world, which could have neither be composed before playing nor be performed at all by four guitars at once. Two concepts of working, which usually fear to get in contact with each other, are combined: sampling and remixing from the world of electronic music with the free flow from jazz, fusion and psychedelic. The result resembles a “Memory play” – with the crucial difference that the individual motives and their mating are not made clear. Each motive from “Composing after Playing” unfolds and changes its character when combined with the next motive. Now and then apparently well-known motives emerge again, get changed within the new context and will be replaced by completely different motives. “Composing after Playing” nevertheless simply wants to be just music, which functions without intellectual background or the knowledge of the listener around its emergence. In this sense the guitar army wishes much fun when hearing a musical work that the four musicians would have never been able to compose or to play. Composing after playing pt. 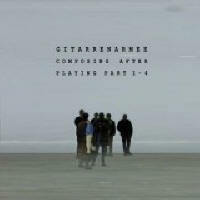 1-4 by Gitarrenarmee is licensed under a Creative Commons Attribution-Noncommercial-Share Alike 3.0 Netherlands License.